DAY 1, SUNDAY: We will greet you at the Juneau Airport and provide transportation to the lodge. In transit, we will provide all the necessary preparations (fishing licenses, bag tags, boat assignments) to start the week. When we arrive we will have dinner and orientation. DAY 2-6, MONDAY – FRIDAY: Breakfast is served bright and early every day. Lunch is set out in coolers with a sandwich bar during breakfast time. 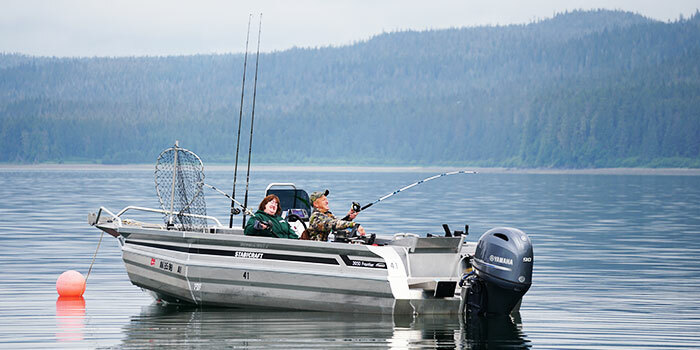 Each morning, the boats are readied with necessary tackle and equipment. Throughout the week there are fish chats, movie night, and even a cooking class! DAY 7, SATURDAY: After breakfast, you board the catamaran for Juneau and start dreaming about the next trip to Doc’s! BREAKFAST: Served every morning from 5:30 – 7:30 A.M. LUNCH: You prepare your lunch every day in the morning. You are welcome to eat on the boat or come back to the lodge. DINNER: Served every evening from 5:00 – 7:00 P.M.
EVENING SNACK: Served around 8:00 P.M.
FAQ: The orientation manual answers many of the questions our first time guests have about fishing at Doc Warner’s. We encourage all guests to read it and be familiar with its contents. 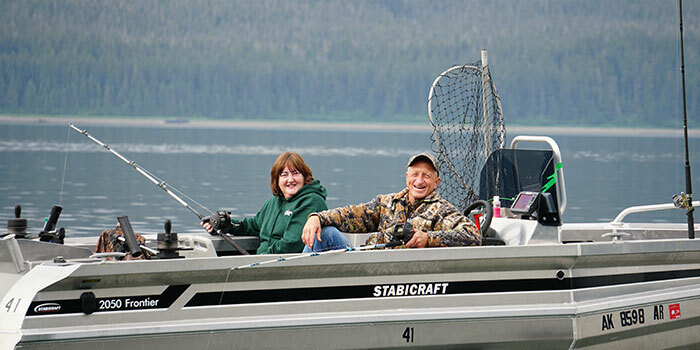 CATCHING YOUR FISH: We cover the techniques and tools for baiting, landing, and identifying the fish you will catch. 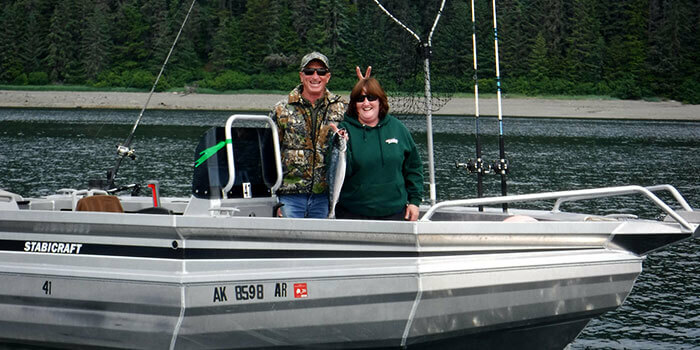 RULES & REGULATIONS: It is important to know the rules and regulations for fishing in Southeast Alaska. 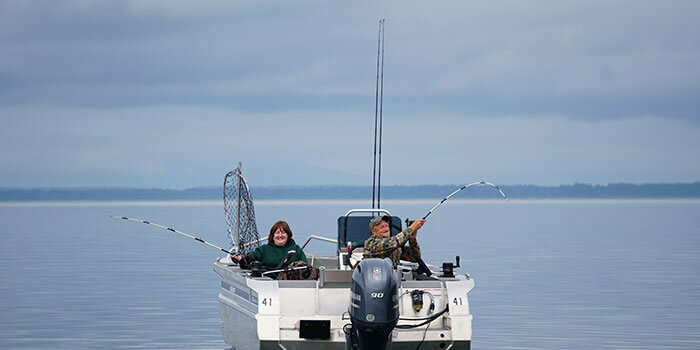 We help you understand how to have the best fishing experience while also avoiding common mistakes.